Even before moving into our home back in October of last year, I knew the aesthetic I was going for. It’s retro mid-century all the way in these parts, and thankfully, our 1962-era house is more than willing to accept its destiny to remain stuck in the twentieth century. 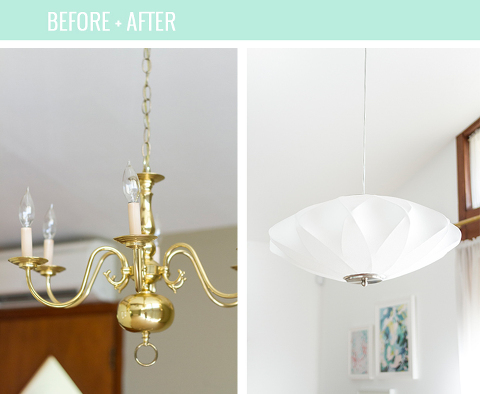 In order to make sure that we kept our fixtures mid-century-specific, too, I spent those first couple of months trolling nearby thrift and antique stores for new-to-us chandeliers and sconces. After investing in four or five fixtures, I had an electrician come out and take a look. Sadly, we eventually came to the conclusion that I was headed down a pretty frustrating path. It turns out that, oftentimes, 50-year-old pendants and sconces are a little less than safe and practical in the new millennium. 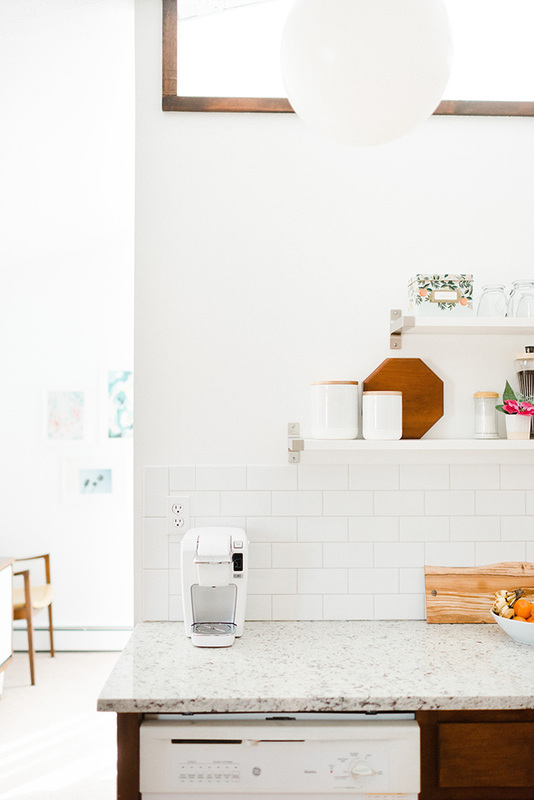 Although there are, of course, exceptions (including the vintage fixture we hung in our newly updated kitchen), I have since switched gears, and have spent time researching new alternatives. 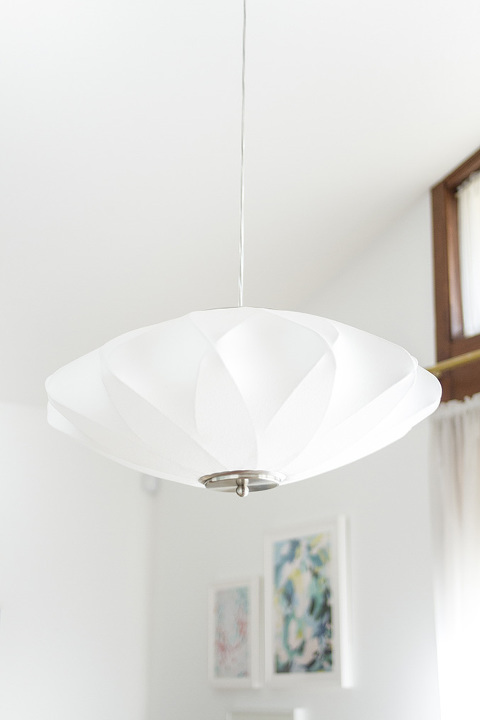 After a couple of week’s worth of online searches for the perfect fixtures to suit our style and budget, I found exactly what I was looking for at Lamps Plus. This isn’t my first time working with the team on a project (see a couple of other features here and here), but this was my first time looking into permanent overhead installations. After chatting with John, we settled on a new fan (which you’ll see revealed in our freshly restyled guest room next week), as well as a new dining room chandelier. The Flower Cloud 22 1/2″ Wide Contemporary White Pendant turned out to be exactly what our mid-century loving hearts were dreaming of, and we can’t stop gazing at it these days. 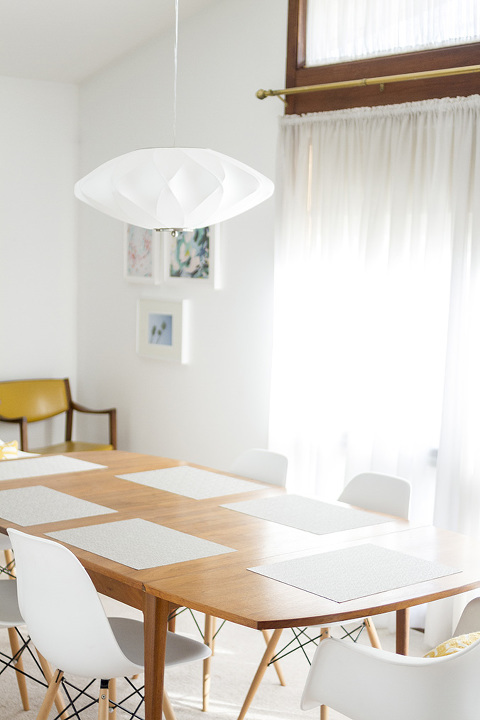 It’s undoubtedly a Blacksburg home improvement over the original brass fixture, and blends in nicely with our freshly painted white walls and white dining room chairs. When you need efficient and cheap removal services in Sydney and its surrounding suburbs, visit andytheguywithavan.com.au for more information. Happily, this brand new fixture took just 30 minutes to install and required zero guess work. Although you know I would prefer to invest in antique lighting, I’m excited that we can rest assured knowing that the 2016 electrical components in our new chandelier are up to snuff for the millennium. 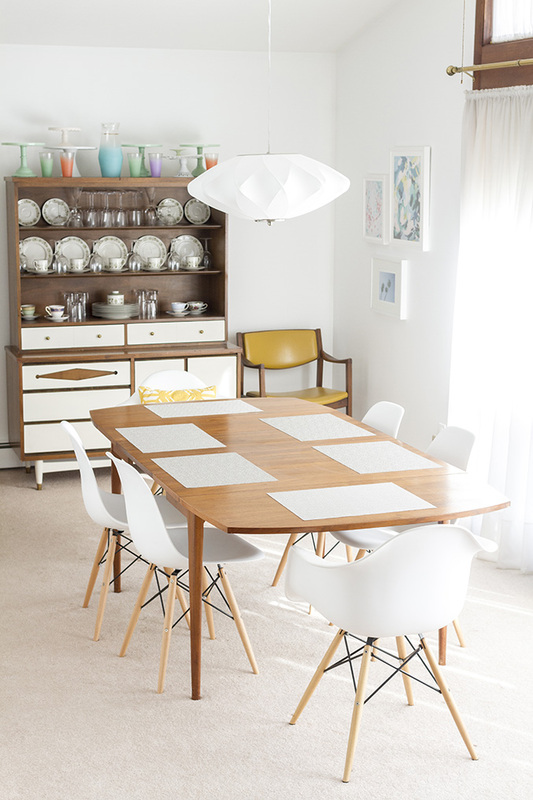 Stay tuned next week for “Part 2” of our mid-century inspired fixture adventure with Lamps Plus! P.S. Happy birthday to my beautiful, sweet, compassionate, caring mama! We hope that you know just how much you are loved!